I’m serious: NIROV.nl has been over a year in the making. 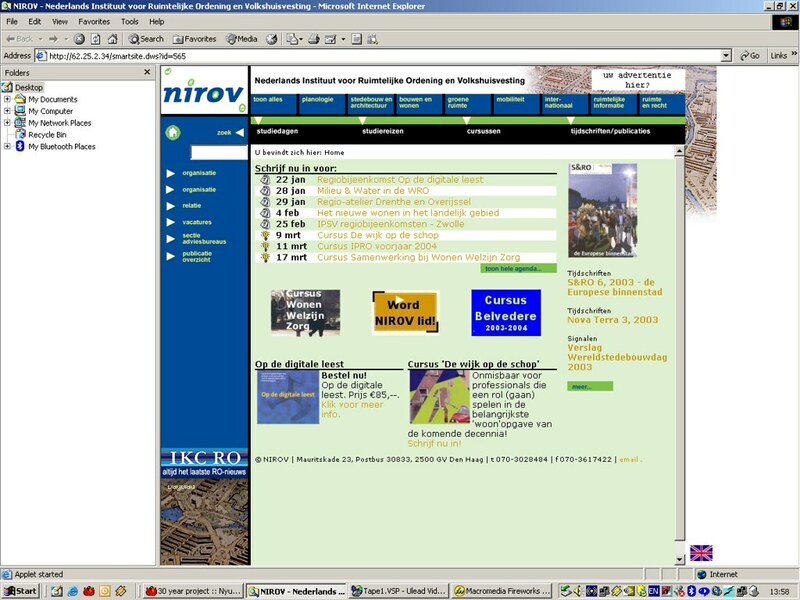 I got the assignment to build NIROV.nl shortly after starting on Habiforum. Originally, the plan was to go live in December 2001. They only just missed that deadline. For one, it was decided the interface needed to be completely redesigned, after it had been redisigned already. Then, funcitonality needed to be increased, after which functionality needed to be decreased again. Still, the result is quite nice. There’s a lot to see, a lot to do on the website. 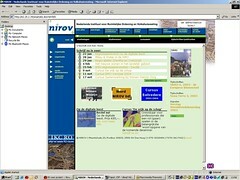 NIROV is a semi-governemental organization trying to foster awareness for groundbraking architecture and urban planning. The website is something of a ‘collective voice’ for related projects, publications and people. The site is built on Smartsite. A not so great and very expensive tool from a Dutch company called Seneca. The system is perfectly fit for publishing articles online in larger organizations. However, it is much less adept in managing user-driven, adaptive websites. Still, the result, of course thanks to Babasprojects, is great. Note (January 2009): The current website is not the one I developed.